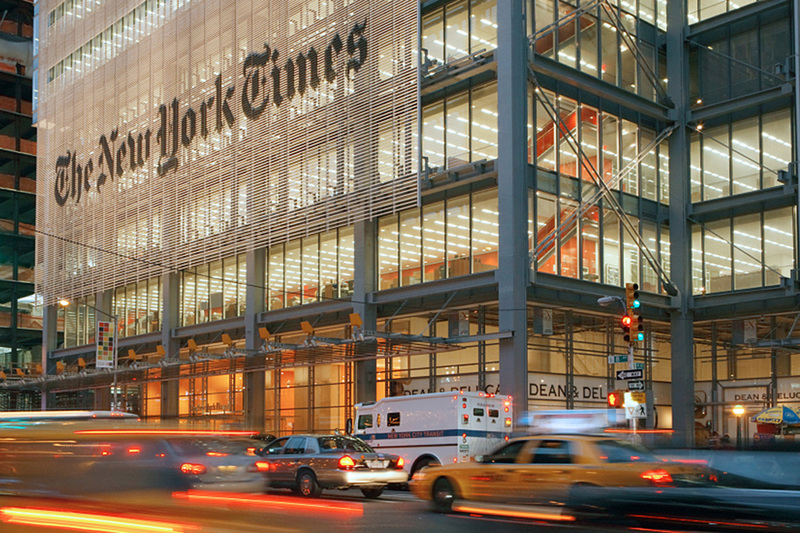 New York Times Building incorporates signage and sunshade into one custom screen system. 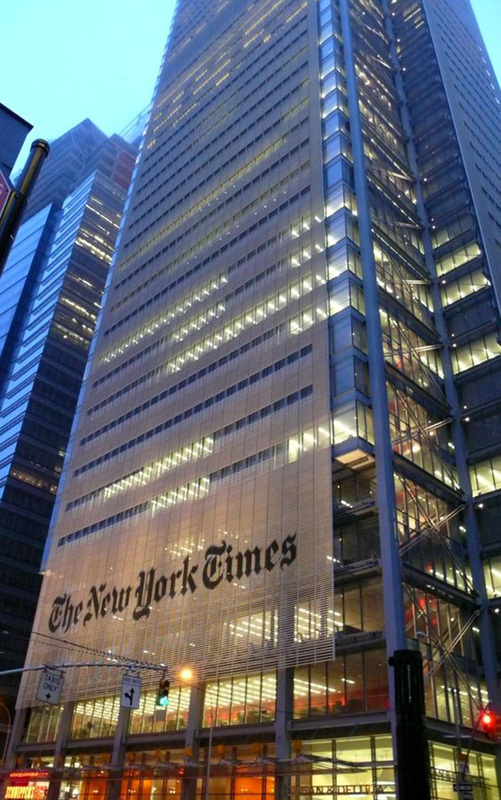 The New York Times Building features “ceramic” rod screens that obscure each facade. 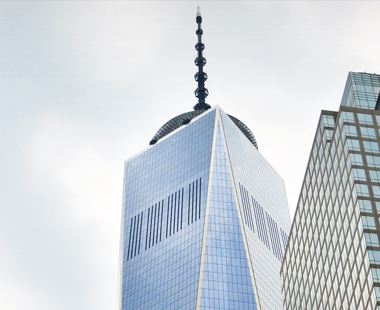 Actually made of alumina silicate, used extensively in the HVAC industry for heating elements, the rods are variably spaced to address interior lighting and view considerations. Each rod is a complex assembly of a continuous internal support and rubber gaskets at each end to protect the brittle nature of the material. 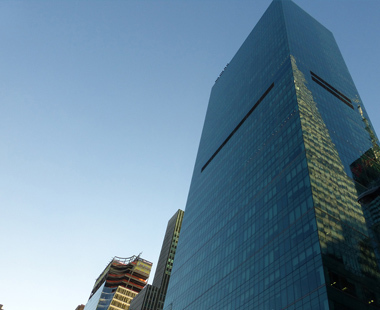 The screen hangs 18-inches in front of the glazed curtainwall via stand-off brackets. Benson created the brackets by extruding aluminum from extra-large die shapes and then milling them to simulate castings. Diagonally braced tension rods at the brackets support the very high ice loading that the screens need to bear. 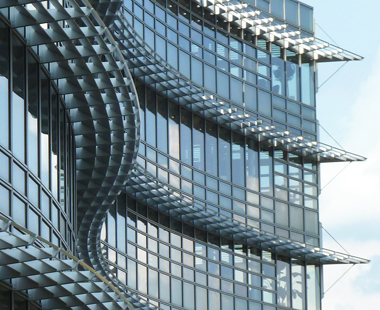 The building’s ceramic rod curtainwall extends beyond the roof to finish the building in a lacelike crown of white. 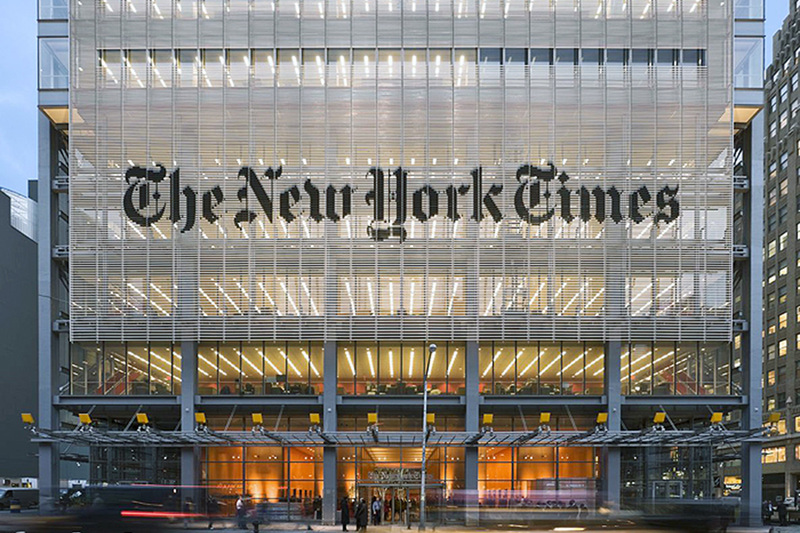 Designed with black “beak-profile” rod elements that replace the typical rods in the configuration of each letter, the iconic “New York Times” font is incorporated into the shade screen on the west elevation to create a 15-foot tall sign. Each length of signage rod was meticulously mapped, sized, fabricated, and assembled onto the individual screen units in our Portland, Oregon assembly facility. 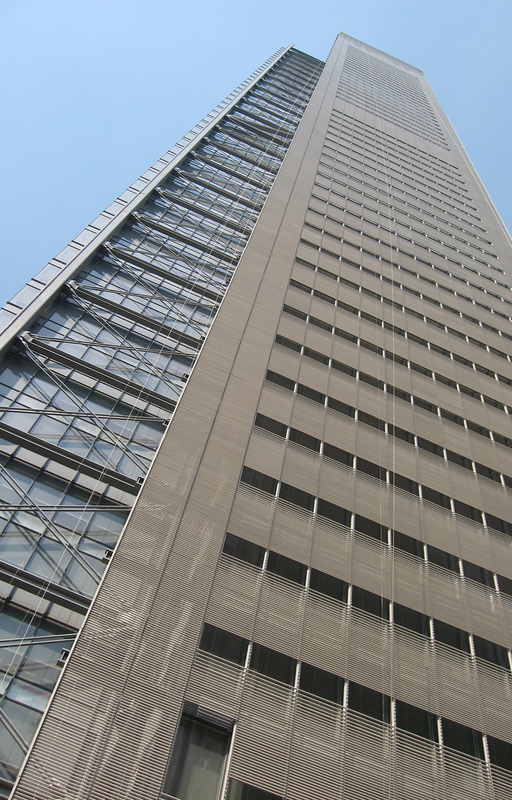 Benson’s scope also included a two-story cafeteria space where the curtainwall is backed-up by 24’ tall, double-plated perforated steel mullions and horizontals which carry the weight of the wall between concrete floor slabs.